The place had limited English speaking employees and yet still manage to get the things needed delivered. We had two orders of everything. 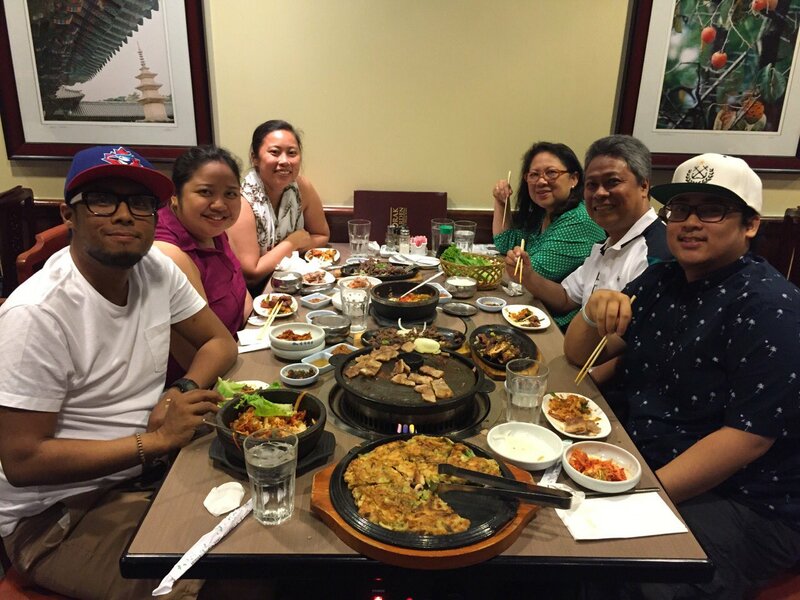 Seafood pancake, short ribs, pork belly, bulgogi, and an order each of seafood and chicken bibimbap. And then we still had all the sides, and rice, to be dealt with. It was only once they started serving the food that we realized how much food there is actually on our table. But it was too late by then. It was a kill or be killed moment. We attacked, and failed! 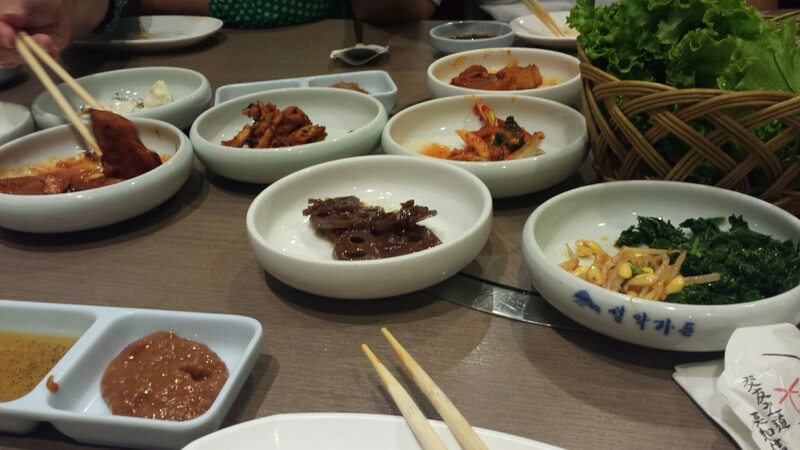 A lot of our appetizers went untouched, since the seafood pancake quickly came out (really good! ), and shortly followed by EVERYTHING we ordered. The best of which was the short rib, was was oh-so tender, that it was something I was willing to fight for. 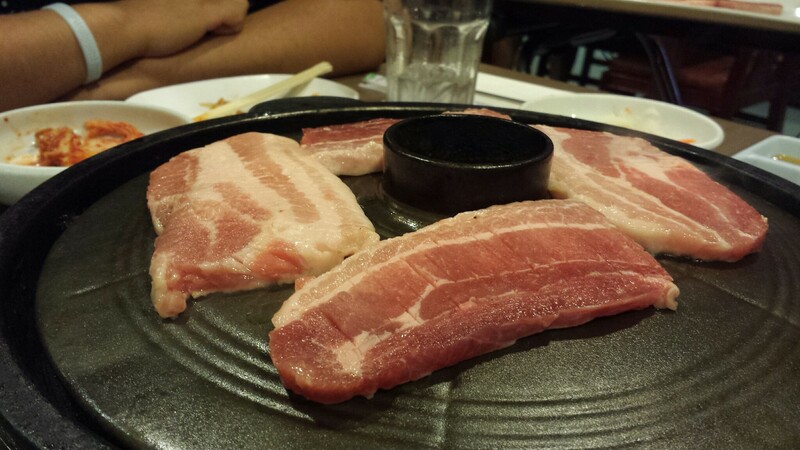 The bulgogi was okay, but it has always been a sweet meat, which I dislike. The pork belly was good, but it was to be dipped in a fishy paste and eaten with veggies and rice. It was good, but not memorable. I did like their crazy hot bibimbap too. But there was just so much food that you can’t eat them anymore!